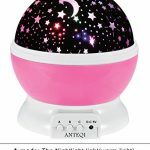 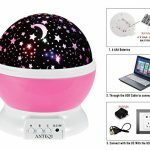 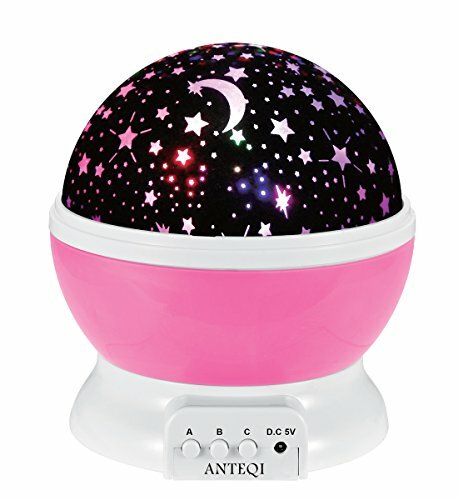 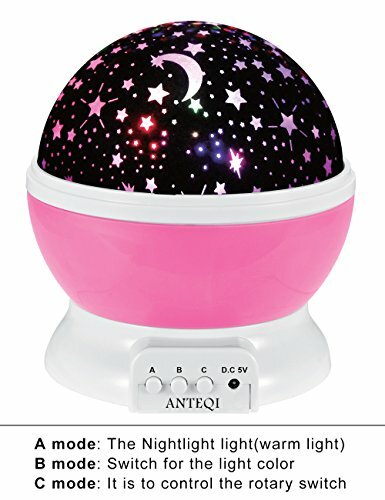 This night light will rotate and project images of the moon and stars across your whole room. 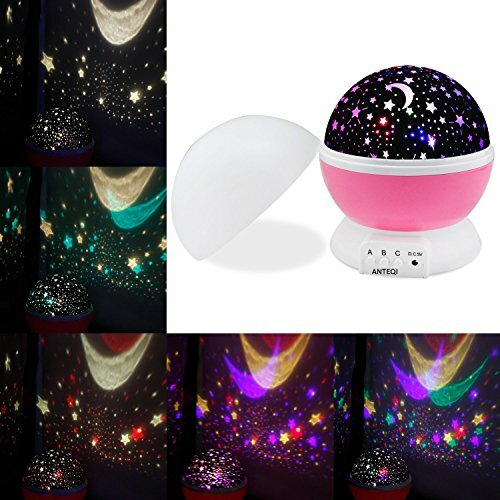 Your child will fall asleep feeling like she is floating away in the galaxy or laying under the stars. 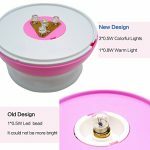 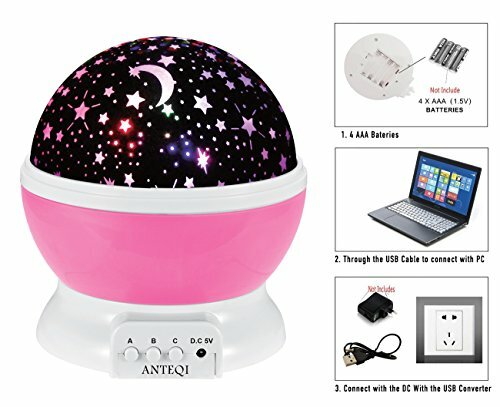 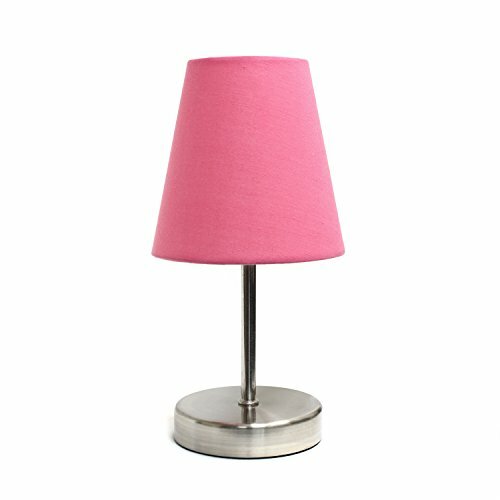 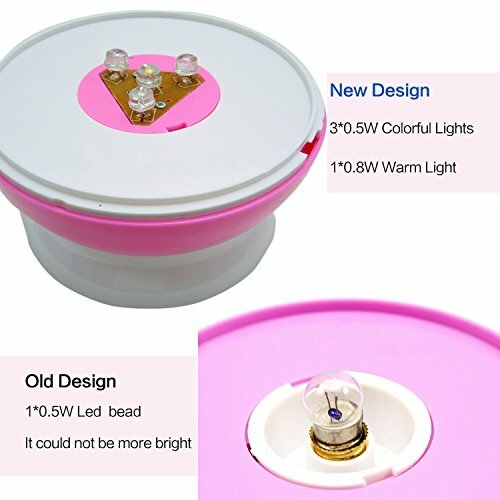 This LED lamp comes in pink. 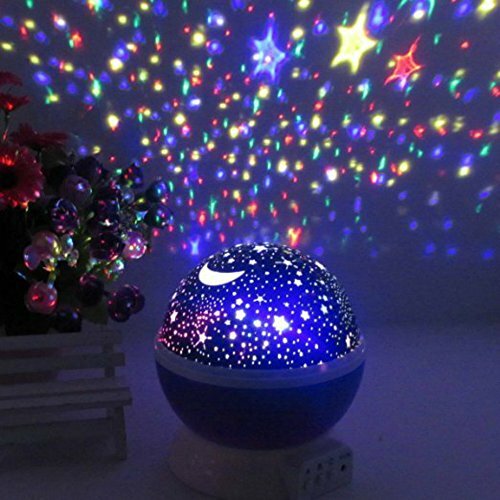 Switch between different settings for rotating projections, or choose to keep them at one spot, or a basic light with no stars. 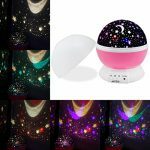 $49.84 (as of July 21, 2017, 6:22 pm)	& FREE Shipping. 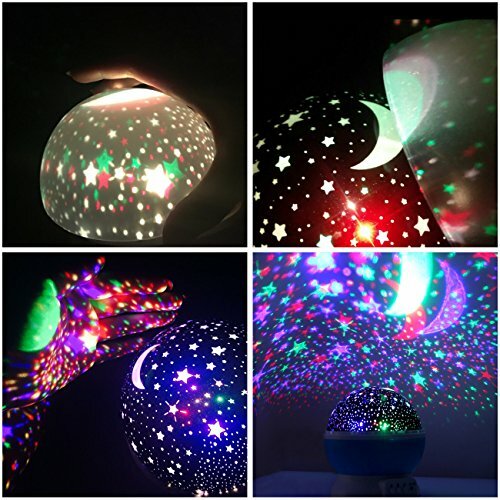 Details $6.79 Purchase this! 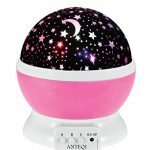 $44.99 (as of July 24, 2017, 12:36 pm)	& FREE Shipping. 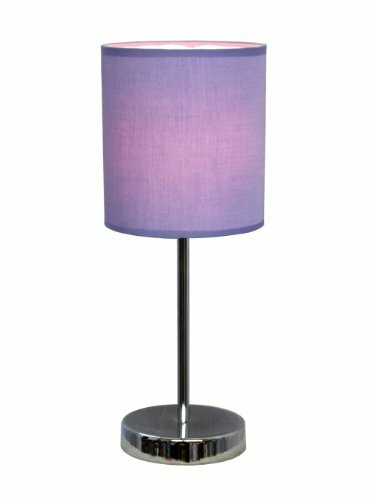 Details Get Lit!